Orthogonal frequency division multiplexing (OFDM) supports high data rate transmission over orthogonal subcarriers and simultaneously removes signal dispersion because of multipath propagation with different delays in channel to receiver section. OFDM when implemented in optical fiber channel comes with ease of dispersion compensation in single mode as well as multimode fiber along with fiber nonlinearity as a prominent feature to be managed. 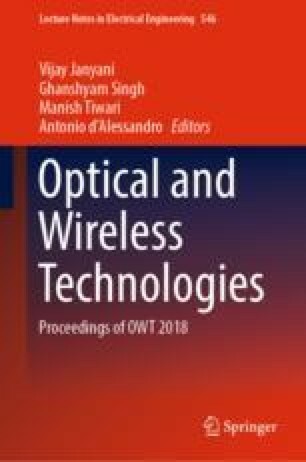 In this paper, authors have explained some basic features of OFDM over single-mode fiber and simulation results confirm the limits and advantages of OFDM over fiber.